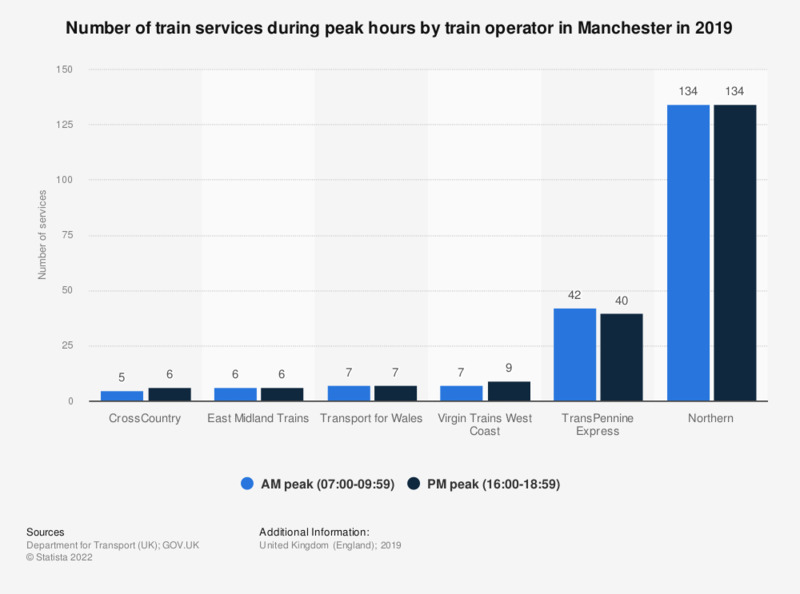 This statistic shows the number of train services run by leading train operators in Manchester in the United Kingdom (UK) during morning and evening peak hours in 2016. Northern Rail provided the greatest number of train services with more than all the other operators combined. These statistics represent a typical autumn weekday. How well developed is public transport in your area?